In 1901 Johan Alfred Backdahl, Owner of Backdahl’s Drug store purchased two horses and a wagon to help with deliveries to his customers. In 1906 Axel Backdahl began helping those same customers move belongings from houses in the City to country cottages and back, renaming the company “Backdahl’s Moving”. In 1931 Carl Backdahl & Milo Backdahl incorporated as Backdahl’s Uptown Transfer. In 1979 Dennis and Barbra Backdahl took over operations of the company. Four generations the Backdahl family have provided the same high level of service, experience and overall satisfaction for their customers. Today operations are overseen by Todd Backdahl & Krista Backdahl–Kamp. Fully insured, licensed and bonded. (IRCC #40799 & USDOT #695729), Uptown Moving and Storage had maintained the Better Business Bureau accreditation since 1978. 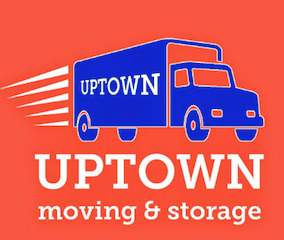 At Uptown Moving and Storage no job is too big or too small. Whether you are moving across the metro, or across the midwest, “we’re on the move” for you!